Pendant lampholder and heat-resistant 0.75mm² twin-core circular cord. Lampholder is constructed from one-piece thermoplastic interior. BS 67 and BS EN 61184, T2 rating. 6" Pendant Lampholder comprising ceiling rose, pendant lampholder and heat-resistant 0.75mm² twin-core circular cord. 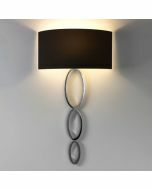 Lampholder is constructed from one-piece thermoplastic interior. BS 67 and BS EN 61184, T2 rating. The Pendant T2 is a 6" lampholder which comprises of a ceiling rose, pendant lampholder and heat-resistant 0/75mm twin core circular cord. 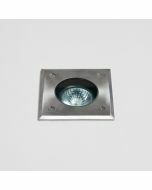 This 6” pendant lampholder is a comprising ceiling rose with heat resistant 0.75mm twin-core circular core as standard. This Lampholder specifically is constructed from one-piece thermoplastic interior. This product is legislation tested and complies fully to BS 67 and BS EN 61184 standards. Like all products available online at Electricals 24/7, the Pendant T2 comes with a 1 year guarantee as minimum. Not the product you were looking for from Electricals 24/7? Why not search our online store for other products at great prices!